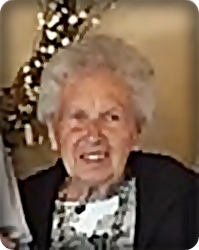 Elizabeth D. "Liz" Partak, age 90, of Grand Rapids, passed away peacefully in her sleep and went to be with her Lord on Saturday, October 13, 2018. She was preceded in death by her husband, Robert; her parents, Ralph and Esther (Jonas) Gasper; and sister, Phyllis Gasper. She will be lovingly remembered by her sons, Bob (Audrey) Partak, Jr., Tom (Jackie) Partak; grandchildren, Alex, Roxanne, Ian, Veronica, Charlotte; brothers, James Gasper, Richard (Joanne) Gasper, and sister-in-law, Janice (Dennis) Komarck. Visitation will be held at 10:00 am Friday, October 19 at Stroo Funeral Home with a celebration of life service beginning at 11:00 am. Fr. Phong Pham will officiate. Entombment will be in Resurrection Cemetery.